Communications between government and stakeholders are highly regulated – which means a lot of paper. Public sector offices must also secure archived records, mail communications, evidence, firearms and more with limited space and resources. 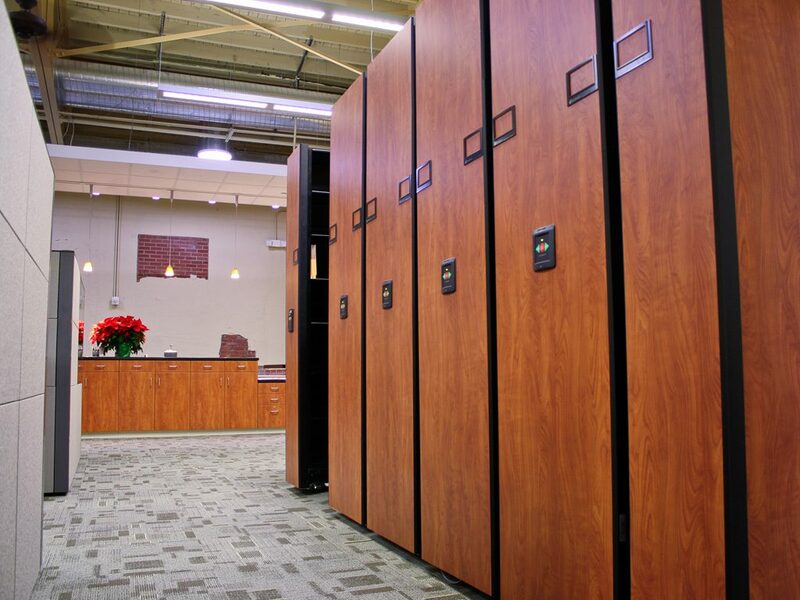 Keep up with growing and future space needs with the latest government storage solutions. At the federal, state, regional, and local levels citizens are regularly looking to access information, forms, and services. Even with the Paperwork Reduction Act (PRA) It’s estimated the public spends 11.5 billion hours on government paperwork each year. All that paper needs to be stored somewhere! Public sector agencies also must keep records of correspondence while protecting information security and remaining complaint with federal regulations. Meanwhile, government employees regularly communicate via paper-driven processes. Yet many government buildings struggle to find storage space. Even when the digitization of documents is making a dent in the amount of files kept, there remains an immense need. 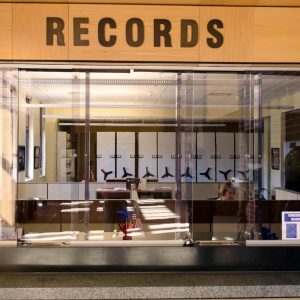 Along with all of these records, there are also supplies, archives, evidence and more to store too. Further complicating things is the fact that many government facilities are housed in historic or dated buildings. The public sector agency wants to increase storage capacity, optimize organization, and streamline processes, but it often must do so on a tight budget in constricted space. 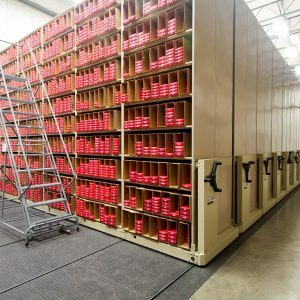 Government facilities, city and county agencies, courthouses, and state and federal law enforcement (such as DNR, FBI, Homeland Security, and more) each have their specific needs for government storage. Fortunately, there are smart solutions. 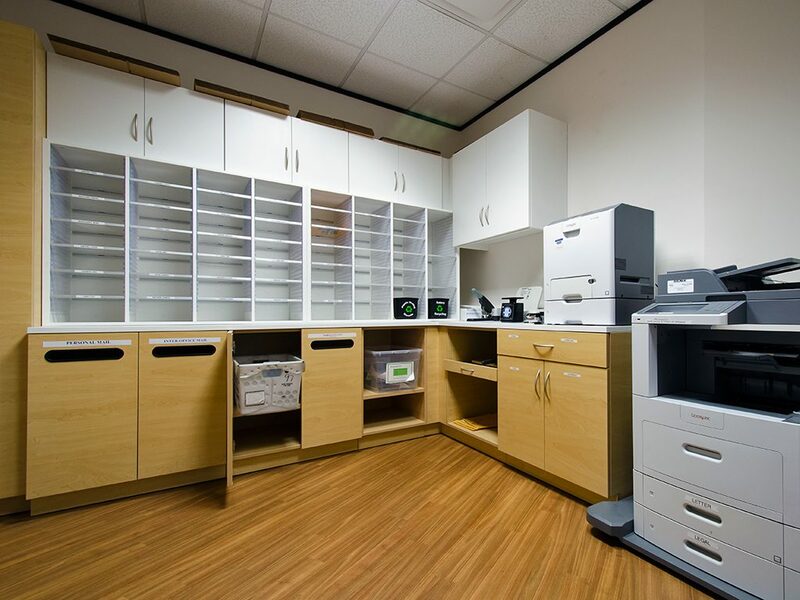 Records & Filing — Organize and secure files while reducing the storage system footprint with high-density mobile file storage, lateral filing cabinets, and bi-file storage. 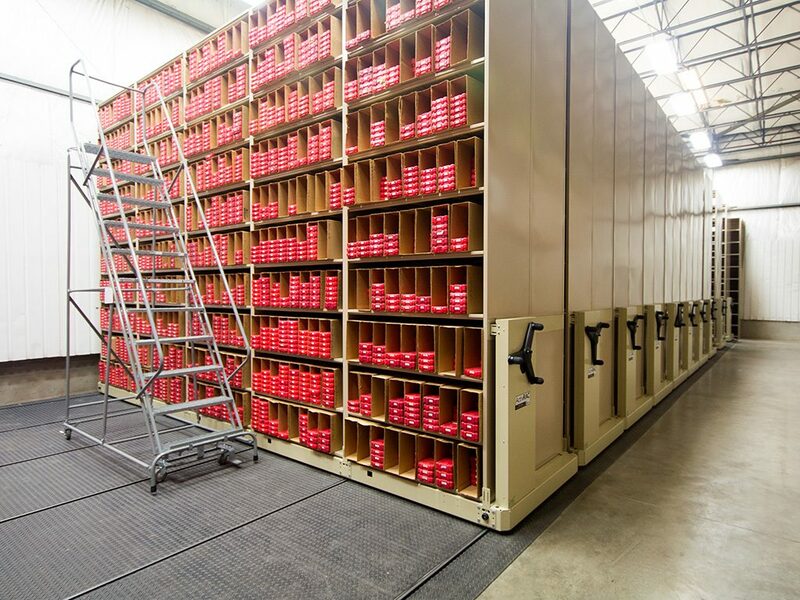 Versatile high-density mobile storage can double storage capacity in the same amount of floor space at half the cost. 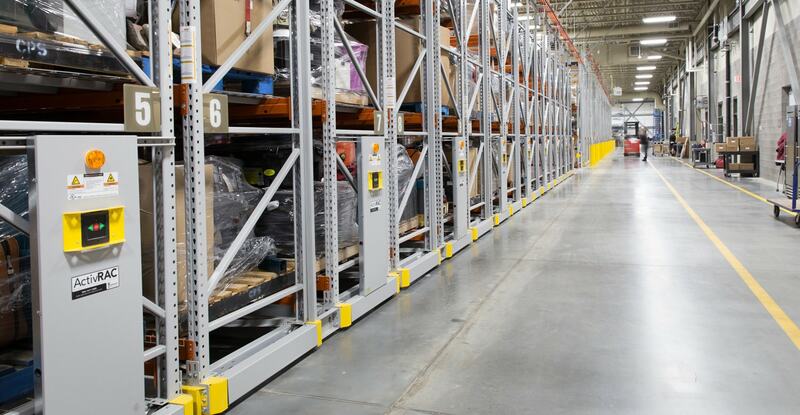 Mounted storage cabinets or shelving on wheeled carriages that travel on rails can be moved manually, with a mechanical assist, or by a programmable powered mobile system. When the Clovernook Center for Blind and Visually Impaired, one of the nation’s largest agencies for the blind in the nation, needed more capacity to store, access, maintain, and circulate braille and audio books in many formats it went with heavy-duty ActivRac Mobile Shelving. The compact storage solution created capacity and provided flexible storage making holdings secure and easy to access. 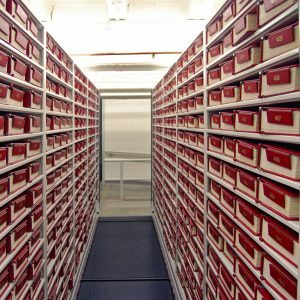 The Register of Deeds office in Wake County, North Carolina, also faced the challenge of organizing and storing many differently sized documents. 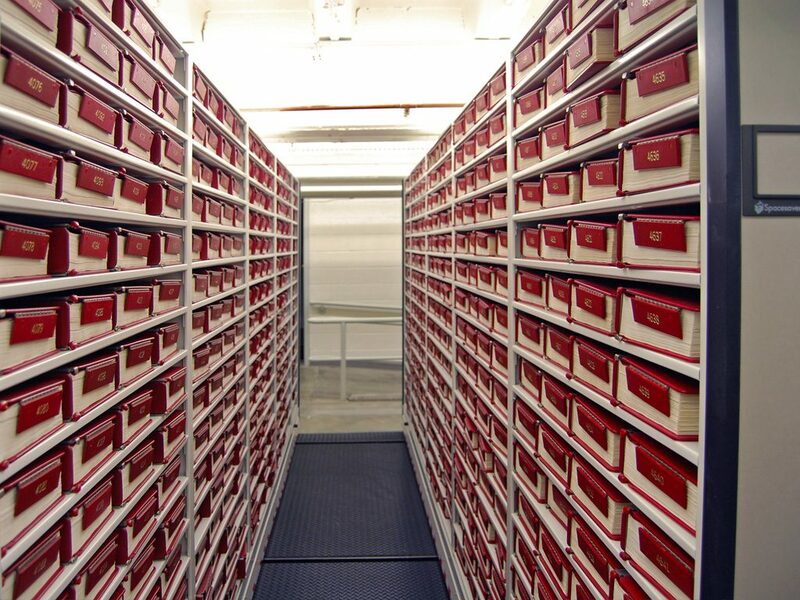 Planning for the installation of high-density mobile shelving, they had to contend with with inconsistent of ceiling height in the basement level storage room and the variable size of the deed books dating back nearly 100 years in their inventory. With planning the challenge was met. 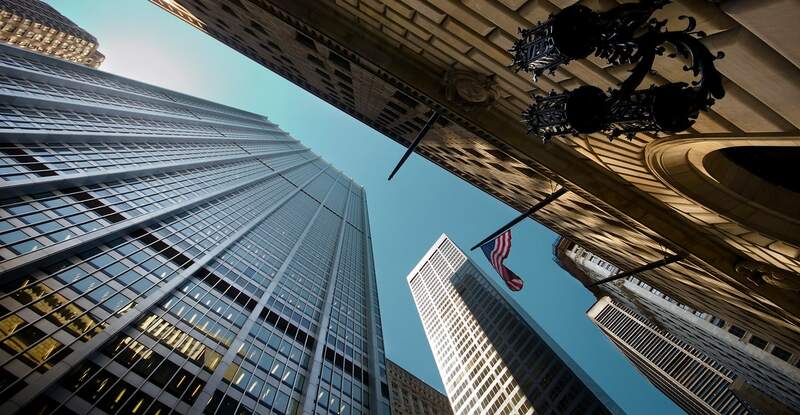 Public Safety — Public safety and justice buildings often have multiple spaces within them with multiple goals, yet they all share the objective of establishing safe, orderly spaces. For instance, law enforcement personnel need storage lockers for their personal gear and firearms. 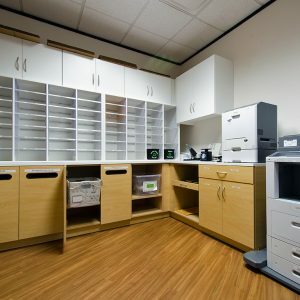 A courthouse needs temporary and long-term evidence storage as well as somewhere to store inmate property and records. 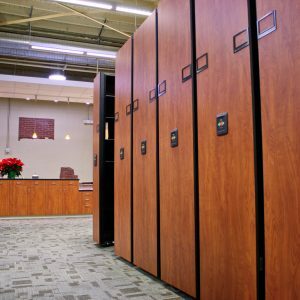 Thinking through their high-density mobile storage, lockers and weapons storage, helped the police department in Franklin, Tennessee to reconfigure its headquarters. Before implementing strategic government storage the PD had “never realized how important the storage components would be and what a difference a good system makes,” said Sgt. David Prather. 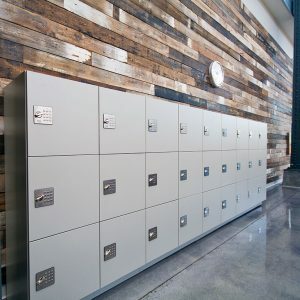 Employee and Visitor Solutions — Public safety officers aren’t the only ones who need personal storage lockers. 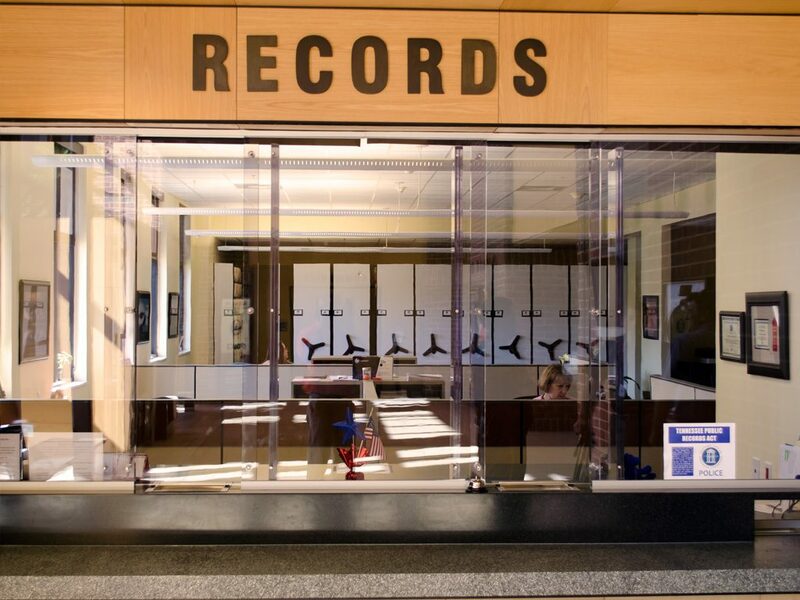 Employees may also look to store equipment, uniforms, electronics, and more. Many government facilities also need to provide lockers to secure visitors possessions too. 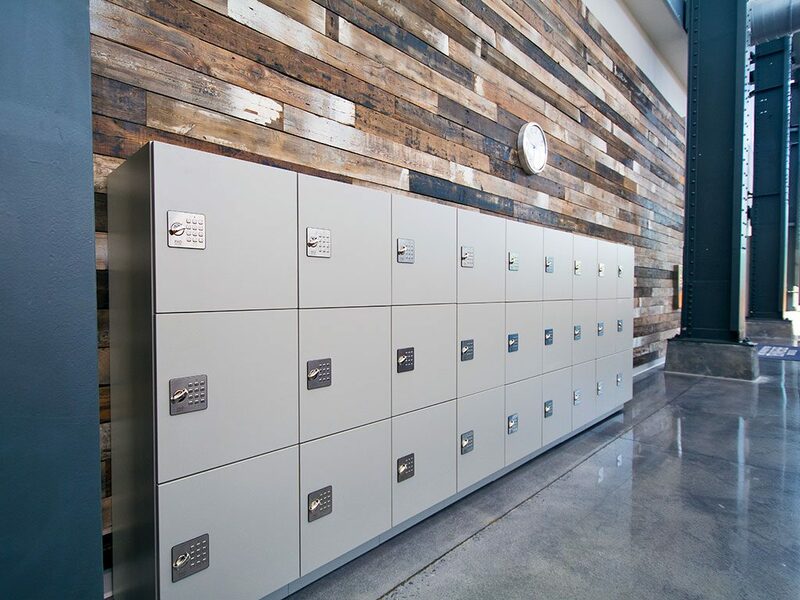 With modular laminate or durable steel lockers, those in charge of government storage gain adaptable, long-term storage capacity. Government workers are already familiar with being creative with their resources. Patterson Pope makes meeting storage requirements even easier. We help our government storage clients to gain storage capacity, plan for future changes, and secure their essentials with long-term solutions they can trust. Learn more today!